The following photos are all our own work... images may not be great as we use an iphone! 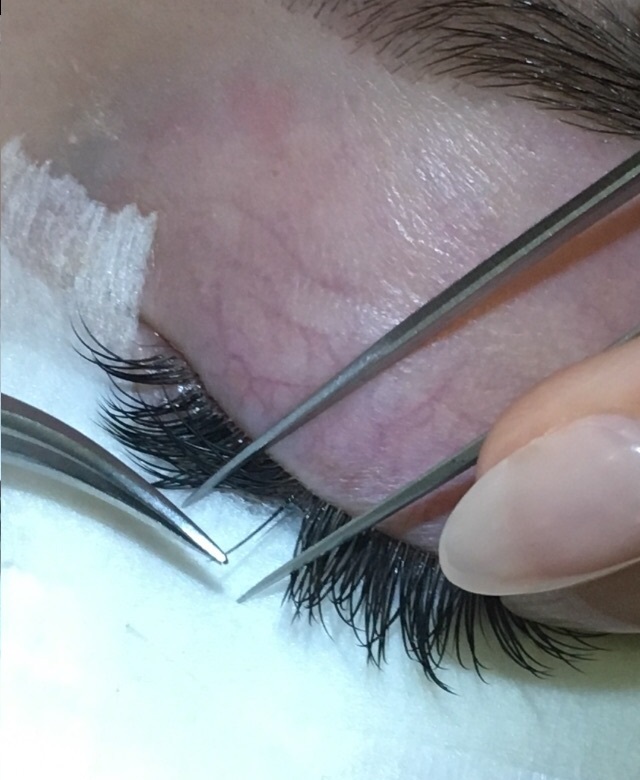 This is a close up photo of Angela actually attaching one single synthetic lash to one of our clients natural lashes, by using this method clients maintain healthy lash growth. The synthetic lash will shed away with the natural lash.